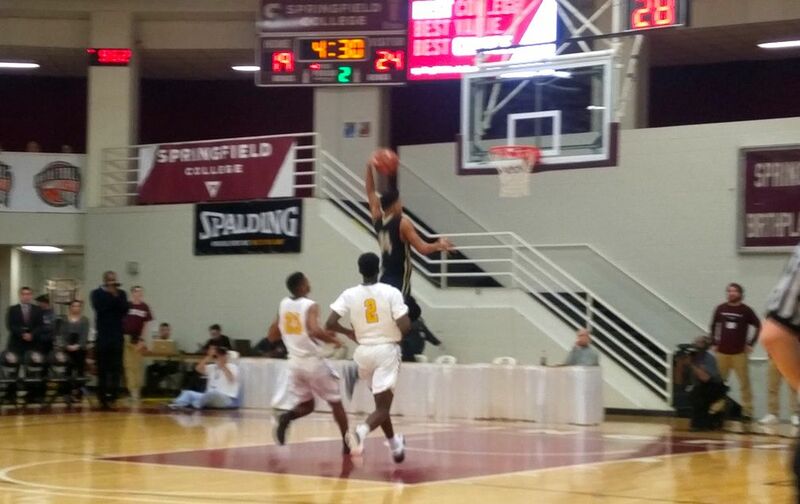 We've mentioned Springfield Central here before, but the Golden Eagles certainly deserve another look after knocking off both rival Springidle Putnam and D1 EMass power Newton North at the annual HoopHall Classsic. 1. Needham (6-0; Last Week - 1) Thomas Shaughnessy scored his 1,000th career point in a Rockets’ win over Braintree. Newton North looms on January 26th. 2. Brockton (9-0; Last Week - 5) Boxers length and athleticism continues to wreak havoc on opponents, even when not at full strength. 3. Franklin (6-1; Last Week - 7) The Panthers have certainly hit their stride. A dominant 67-52 win over rival Mansfield shows just how good this team can be. 4. Tech Boston (7-0; Last Week - 6) Last team in the state anyone wants to get into a track meet with. 5. Springfield Central (10-0; Last Week - 14) The Golden Eagles introduced themselves to rest of the state in style, knocking off previously undefeated Springfield Putman before defeating Newton North to cap off the Hoophall Classic. 6. St. John's Prep (6-2; Last Week - 2) Tommy O'Neil made sure the Eagles rebounded from a loss to Catholic Memorial with a 15 point win over O'Bryant. A trip to BC High looms on Wednesday. 8. Lowell (7-1; Last Week - 3) Lowell learned the hard way that once the conference slate starts, anything goes. 9. Newton North (6-3; Last Week – 11) Tigers have definitely improved since the first two weeks of the season, but a loss to Springfield Central at the Hoophall Classic prevents them from surging in our poll. 10. Cambridge (8-1; Last Week - 4) Back to the drawing board for the Falcons after Newton North exploited their weaknesses without much trouble. 11. BC High (6-2; Last Week - 8) Eagles are five points away from being 8-0, but have defensive questions to answer ahead of a big showdown with St. John’s Prep on Wednesday. 12. Burke (10-0; Last Week - 15) Bulldogs have quite the backcourt. 13. Bishop Stang (9-0; Last Week - 17) With Damien Perry providing the scoring, and Malik Morris and Dijuan Chummack battling inside, the Spartans look awfully hard to beat. 14. Catholic Memorial (6-3; Last week – NR) The Knights are off and running on the court and in our poll after wins over formerly No. 2 St. John’s Prep and No. 8 BC High. 15. Everett (8-1; Last Week - 16) Since falling to Brighton on December 28, the Crimson Tide have outscored their opponents by 111 points. 16. St. Mary’s (Lynn) (8-1; Last Week - 22) Jalen Echevarria’s 29 points versus Cardinal Spellman has St. Mary’s atop the Catholic Central League. 17. Mansfield (7-2; Last Week - 10) The Hornets are in need of a healthy Tyler Boulter. 18. Arlington (7-1; Last Week - 21) Wins over a pair of scrappy teams in Lexington and Winchester have the Spy Ponders atop the Middlesex ahead of Friday’s showdown wiuh Belmont. 19. Foxboro (9-1; Last Week - 25) Nine in a row for Foxboro who finds itself in the drivers seat on the Davenport side of the Hockomock. 20. Hingham (5-1; Last Week - 23) John Gates has the Harbormen cruising through Patriot League play. 21. O’Bryant (6-2; Last Week – 13) Losses to Madison Park and St. John's Prep have the Tigers in search of answers. 22. Central Catholic (6-3; Last Week - 12) A home matchup with Lawrence on Thursday will be a good measuring stick as to where the Raiders are as a team. 23. Maynard (7-1; Last Week - 24) Tigers suffered their first loss of the season on Monday to a very good St. Mary's team. 24. Springfield Putnam (7-1; Last Week - 21) Beavers suffered their first lost of the season to Springfield Central in what could be a preview of the Division 1 West Final. 25. Lynn Classical (6-2; Last Week - 15) Two in-league losses last week leave the Bulldogs badly in need of a victory over rival Lynn English on Tuesday.